Clean rooms are regularly used in manufacturing and scientific buildings to allow for a controlled environment that has a low level of pollutants such as dust, airborne microbes, aerosol particles, and chemical vapours. Cleanrooms are used in practically every industry where small particles can adversely affect the manufacturing process. There are many factors to consider when designing a clean room and one of them factors are the doors and windows, which need to be designed and installed to be flush with the cleanroom to allow for minimum contamination. 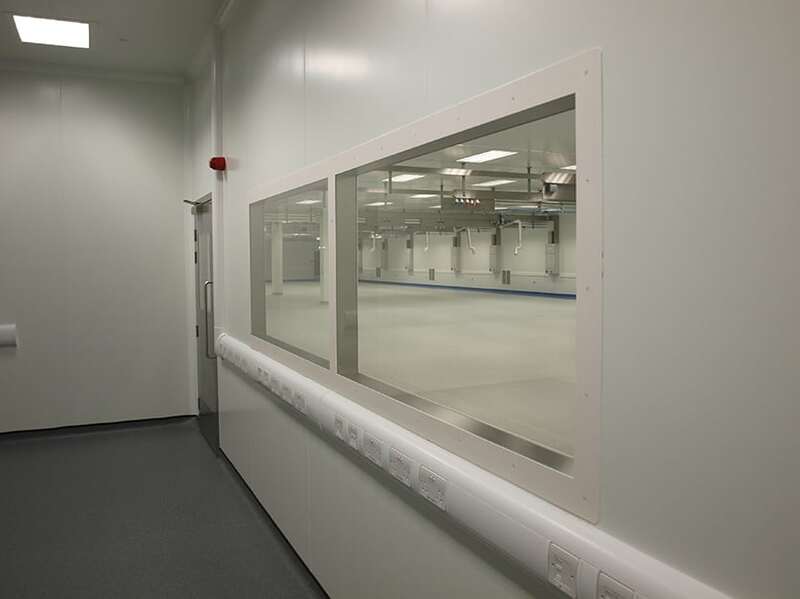 If the wrong doors and windows are introduced to the clean room area it could render the area unfit for its purpose and only high quality and performing units should be used in such sensitive areas. At Fireblock we have designed our doors and windows to adhere to the exact specification of a clean room by incorporating them with the highest standard of clean room compatible ironmongery and furniture to provide you with the safest solutions. Fireblock manufacture a high quality range of Cleanroom steel doors and windows which include wrap around frames, air leakage and pressure seals, flush panel glazing and bacteria resisting ironmongery that you can be sure will provide you with the highest level of protection from contamination for your cleanroom while still remaining asthectically pleasing and retaining the same high level of functionality and specification of our steel doors.